We have come across many versions of Dominar 400 modification in recent times. The great talent in India is adding so much to the motorcycle that they think Bajaj might have missed or might have given as accessories with the motorcycle. 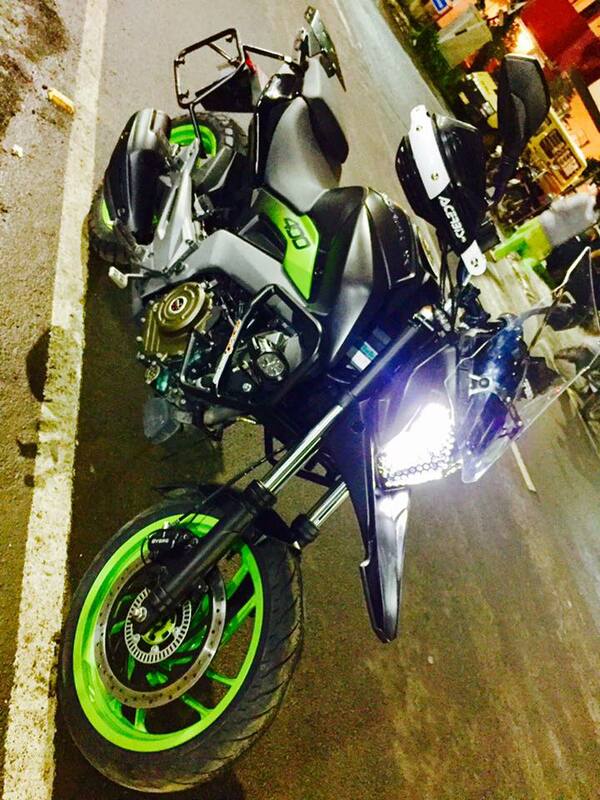 Here we have the India’s best looking Dominar 400 modification for Adventure touring and this looks very practical. 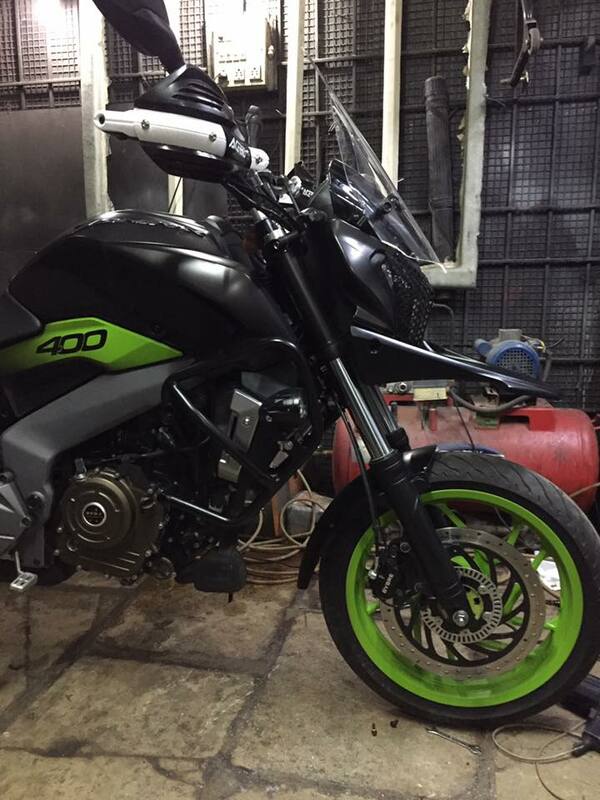 Most of the mods that we see with Dominar 400 these days are heavy and make the motorcycle slow with too many parts to carry along without luggage. 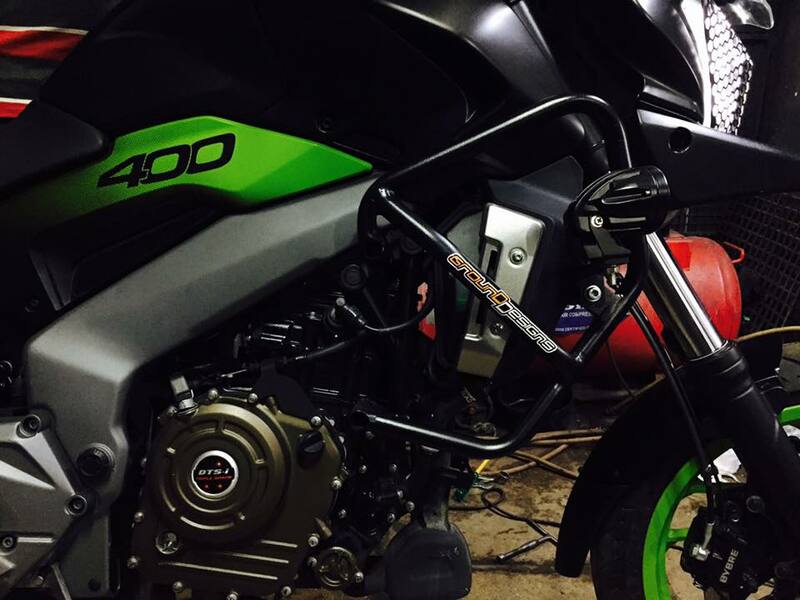 Here, the first mod we think is best by Ground Design Pune that is one of the best looking and practical Dominar 400 mod. The major update here is 3.5 inches extended front shock absorbers. The minimalistic mod comprises of the front crash guard also works as mounts for auxiliary fog lamp. The high raised front mud guard gives a feel of high ground clearance to the motorcycle. Headlamps get a well-shaped metal perforated guard and a taller windscreen. Hand guard on the handle also makes this bike look like a good mod. At the rear end of a motorcycle, there is space to add 3 panniers. With paint scheme added here and there on the motorcycle, this Dominar looks a very practical choice for adventure touring and daily commute without having too much weight on it. The modification is done by Ground Designs and the man behind this is Amit Gaud. You can contact him on his Facebook page or his personal profile. We would like to see some good quality images of this bike by Ground Design. Let’s hope the proper images of the bike will be available in coming days. Auto Expo 2014- Exclusive pics! !